Tourists rent a Twizy and are completely independent as far as their journey or timing is concerned. 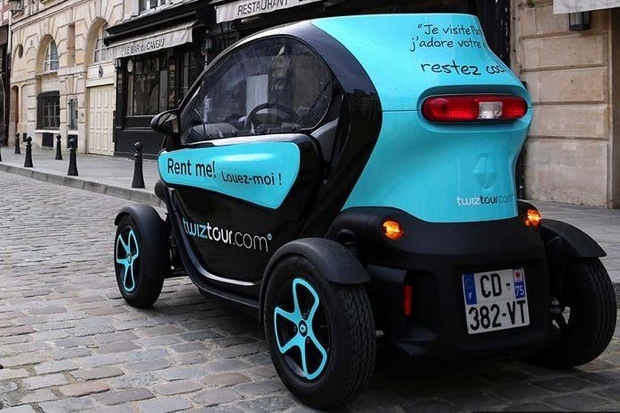 Besides, Twizy’s small size is ideal to drive through Paris. A sat-nav will provide users with comments and stories related to the locations they visit. It will also give them advice on how to drive the electric vehicle. One can also opt for a VIP tour, which means that a guide is driving ahead of the tourists’ car and communicates with them via a walkie-talkie. Companies can also benefit from special offers, as part of team-building trips for example. Therefore, Twiztour enables tourists to be completely free while visiting Paris. On top of that, it enables them to have an experience of driving an electric car. The new Renault Clio 4: a potential competitor for the ZOE?